Fees for trailering-in: XC course is $30 ($25 pony clubbers) per horse, jump ring is $10 per horse, and covered arena is $10 per horse. This pre-Civil War log cabin guest house/B&B is located on a premier horse farm in central VA. It is nestled in the heart of horse and wine country near Charlottesville, Monticello and Ash Lawn. It is quiet and private with a porch overlooking a pristine pond and views of horses grazing in the field nearby. With close proximity to the James River and Monticello, guests can tour the many local winerys and vineyards. Horse boarding is available for horse enthusiasts. 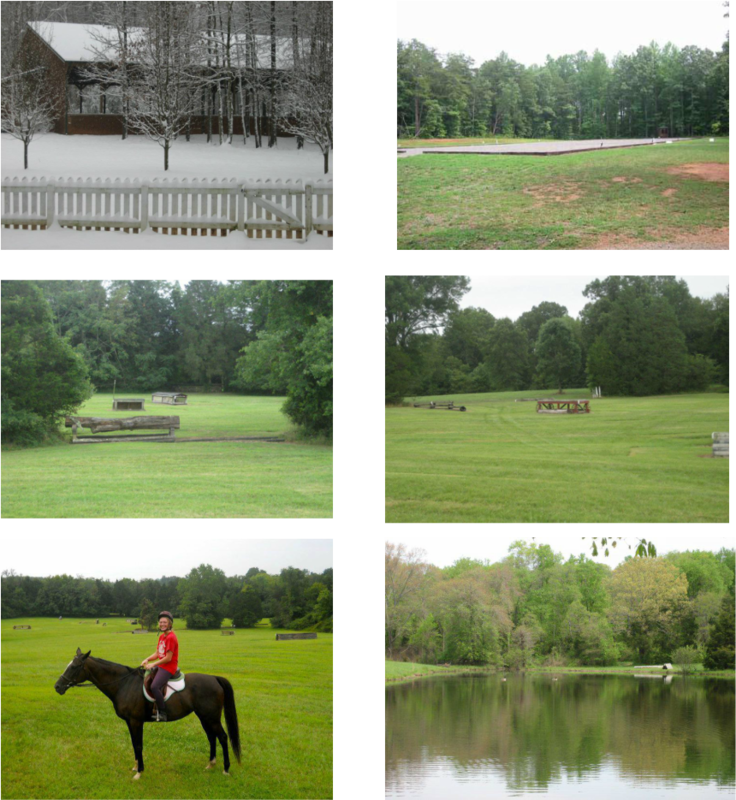 A full cross country course and indoor arena available. A tennis court is available for your use as well as many miles of walking trails. Perfect for the romantic weekend getaway or a writer's retreat. Please email for inquiries.